An innovative scheme to reduce fuel poverty throughout the Stockton Borough is being placed in jeopardy because of excessive, but legal, charges being imposed by British Telecom (BT), Alex Cunningham has said. The Stockton North MP, who last week wrote to Ofcom requesting that an investigation be undertaken into BT’s business practices, raised the matter on the floor of the House of Commons with the Leader of the House and implored both the Department for Environment & Climate Change and the Department for Business, Innovation & Skills to back his call and urged a debate on the matter. The Leader of the House, Andrew Lansley, committed to asking the two Departments to respond to these concerns. 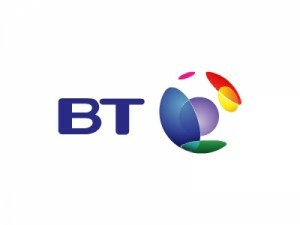 BT recently took legal action that prevents contractors working around wall fittings owned by the telecommunications firm on properties undergoing refurbishment and modernisation works designed to improve energy efficiency and reduce fuel poverty. Following a court ruling in their favour, BT has contacted local energy companies involved with the Energy Companies Obligation scheme and Green Deal programme to warning them not to touch BT infrastructure. BT has set a charge of £144 per property for its own contractors to carry out such works, which experience dictates will take a maximum of one hour to complete. This price is inclusive of a £50 callout charge which is applied even when a row of terraced houses each needs the work carrying out at the same time. “I was surprised that a national company of BT’s size and reputation would seek to impose such high tariffs through the legal system. What makes this decision truly shameful is that it undermines an important project to relieve local residents of the burden that ever-increasing energy prices can bring. “The sum of £144 is an outrageous fee to charge to not-for-profit organisations genuinely trying to improve the lives of residents, and it is a disgrace that BT is including individual callout charges unnecessarily. This is significantly reducing the impact that resources allocated to combating fuel poverty are able to bring.